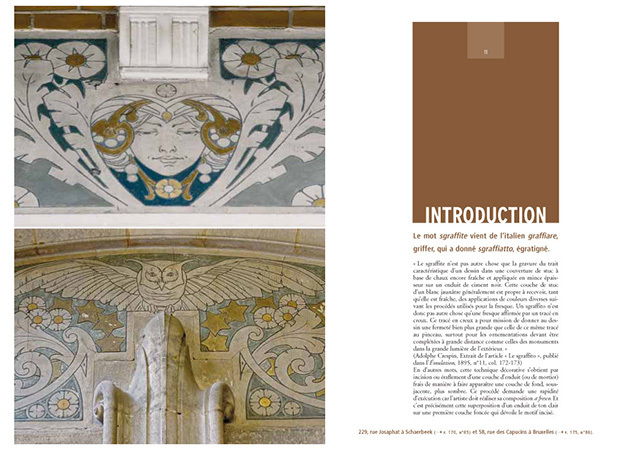 The aim of this book is to get the reader to see and get to know the most beautiful graffiti of Brussels. After having situated the origins and sources of inspiration in time and space, the author presents the most beautiful graffiti which she has selected, with the help of recognised experts, the “indispensable ones”, but also other lesser known work, those created by graffiti artists who have brilliantly made this art their own, those representative of subjects in vogue and those that have been restored by enthusiastic artisans. This book is a study of the graffiti of Brussels with a scope that has never before been realised.